"This is my little pup Moses. 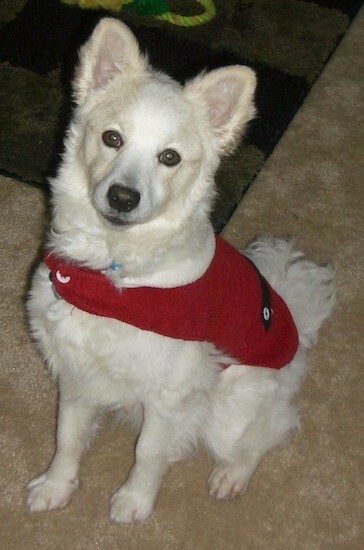 He is an Eskie-Chihuahua mix (American Eskimo / Chihuahua). He is the best dog in the world! Very smart and loving!"